Welcome to our online book store! This page summarizes our featured stories. Each story builds on the main character, Gwendolyn BALONEY Lomax. The books are written as self-contained modules that can be read as independent works, but we recommend reading the entire series! Once you have read all about our books, click on the Baloney Book Store link to make your purchase. 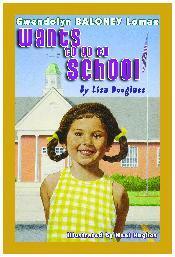 Gwendolyn BALONEY Lomax, the delightfully captivating principal character of Lisa Douglass� series of books for children, wants to go to school. She spends her time wishing for the day she will get to go to the elementary school across the street. This short story introduces the charming character to new readers of the series. Young readers will be excited to learn about the character�s home life. This work is moderately challenging for the independent reader with some vocabulary that may spark questions (�siblings�, �concrete�). Beginning readers will love hearing this story read aloud. 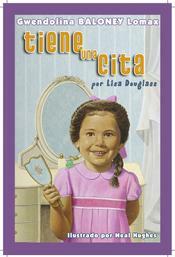 Gwendolyn BALONEY Lomax, the delightfully captivating principal character of Lisa Douglass� series of books for children, visits her cousins in the South. The differences between city and farm life are illustrated in this quick tale. 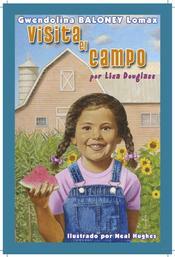 Young readers will be excited to learn about the character�s family adventures. This work is moderately challenging for the independent reader with some vocabulary that may spark questions (�asphalt�, �rind�). Beginning readers will love hearing this story read aloud. 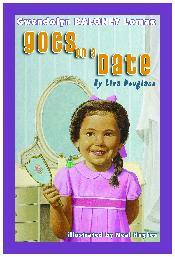 Gwendolyn BALONEY Lomax, the delightfully captivating principal character of Lisa Douglass� series of books for children, goes on a date at the tender age of five. Her day starts off quite regularly, but ends in an exciting adventure with her sister and her sister�s boyfriend. This short story illustrates the simple family bond between mother, child, and siblings. Young readers will be excited to learn about the character�s family dynamics. This work is moderately challenging for the independent reader with some vocabulary that may spark questions (�dome�, �topper�). Beginning readers will love hearing this story read aloud.